Curriculum vitae: Takeshi NAKANO, Ph.D.
Director, Env. Safety Div. & Water Env. Div. Hyogo Pref. Inst. of Pub. Health & Env. Sci. Director, Env. Safety Div. , Hyogo Pref. Inst. of Env. Sci. 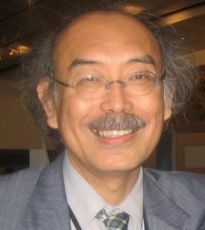 Dr. Takeshi Nakano obtained a masters degree in Applied Chemistry from Osaka University, Japan, in 1974, and a Ph.D. at the same University ( Studies on Congener-Specific Analysis of Chlorinated Aromatics and Its Application to Environmental Chemistry ) in 2007. In 1974 he joined the Hyogo prefectural Institute of Environmental Science where starting PCB analysis and continue more than 30 years. He contributed to the field of congener-specific analysis for Dioxin related compounds. His main expertise is in the field of Persistent Organic Pollutants (POPs), especially Dioxins and Furans as well as PCBs in ambient air and the entire environment. Dr. Nakano has authored scientific publications including fate and distribution of POPs, PCBs, Dioxins and Furans in human and environmental samples, source estimation using characteristics of congener profile in samples. He is contributing to the committee for POPs monitoring and PCB destruction project in Japan. He maintained voluntary web-server for sharing information of environmental, analytical, technical issue as chief member of MS analysis commission in Japan water environment society. His hobby is to record researcher's natural smile as official photographer in each symposium.